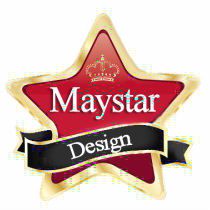 Welcome all visitors to Maystar Design. It's a place to release your dreams and see the unbelievable. Cats with butterfly wings, tiny gem stone healing trees from the deepest forests of the imagination. Handmade crystal trees, magnets, coasters, tote bags and special healing jewelry. Website design, illustrations, cards and paintings with an artistic fantasy approach. Maystar was very kindly invited onto the Marion McNamee afternoon show at BBC Coventry & Warwickshire Radio. 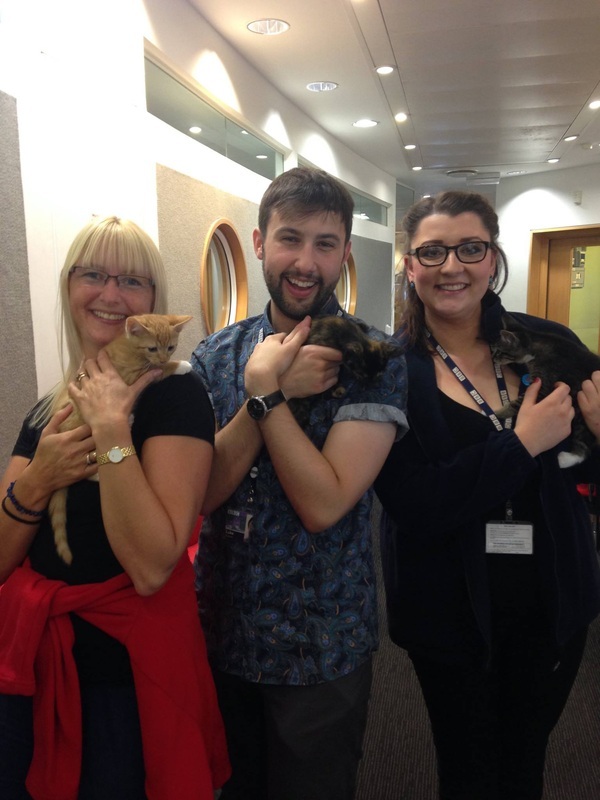 The team always love to have animals in the office and no sooner had I arrived with three kittens, they had been whisked away to all sections of the station to be crooned over. Marion sat with Trout the kitten on her lap throughout the interview and he was so well behaved. They all, of course, are trying their hardest to win hearts and find homes. We hope that this little trip out will find them homes in the near future. Go to Maystar Devon Rex to read about them and their story and see if you can offer them a home! NEW: LilliLongLegs has launched a new range of Bugs & Beans. Come and find them in the shop and watch your cats dance around with the crazy catnip from Kentucky! GO SHOPPING BEFORE YOU VISIT! Maystar is usually at one show or another meeting and greeting new people all the time and sharing the love of cats. Everything that is sold on the stalls is hand made and carefully crafted and made out of either recycled papers or fair trade cotton. 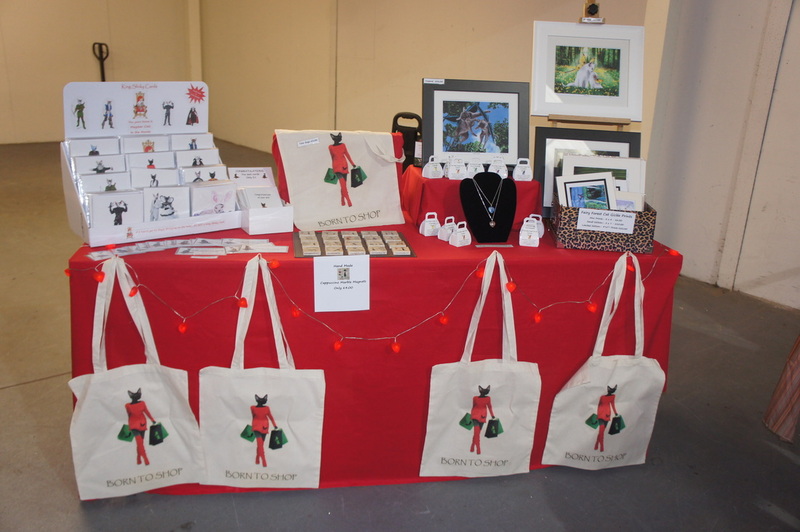 Come and find us at a pet show near you or order online. 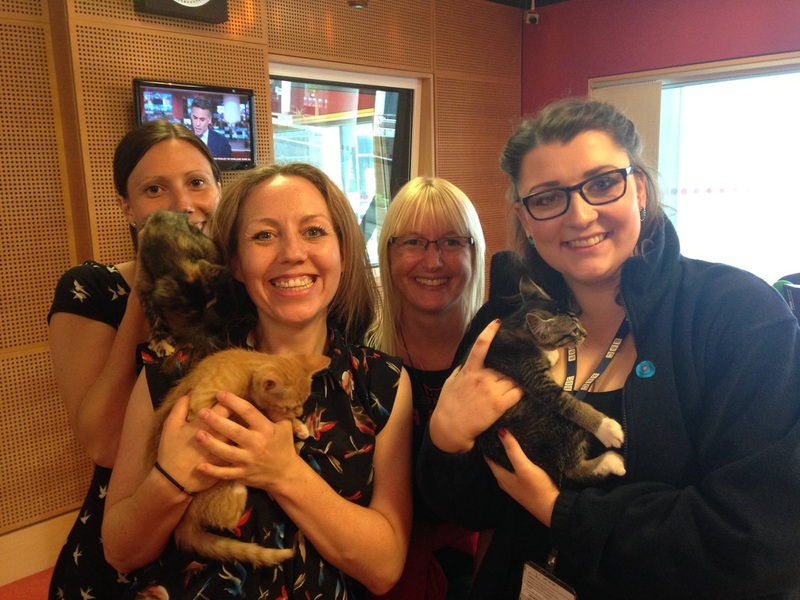 King Slinky & Nicole were on the Vic Minett show at BBC Coventry & Warwickshire Radio talking about The Rex Cat Club's 25th anniversary show. "We love the picture so very much and look forward to putting it on our wall with the rest of the Maystar collection"